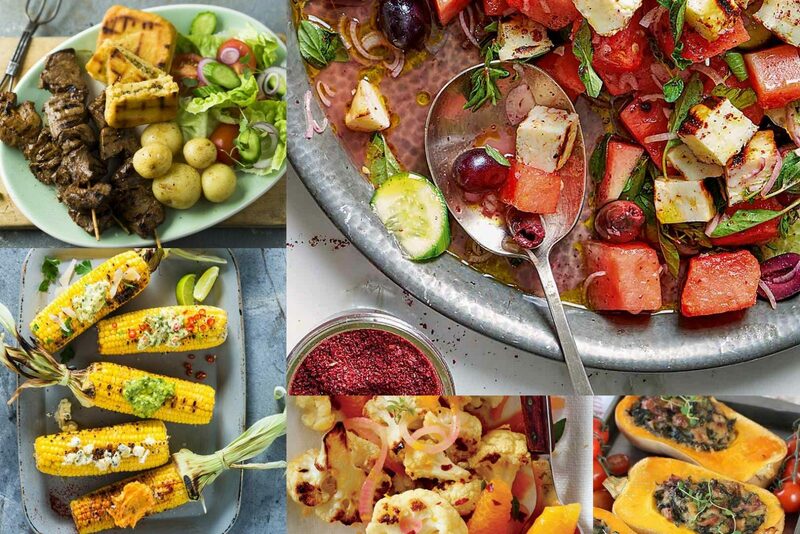 Salads and sides braai ideas are just as exciting as the braai ideas for meat. Accompanying dishes enhance and compliment the main meal. Imagine a tender, juicy fillet on its own. Not bad. Then imagine that fillet with a baked potato and butter. Add a roasted veg or salad and the meal just keeps getting better. Since childhood, we’ve all enjoyed the conventional South African salads and sides like the potato bake or potato salad, coleslaw, carrot and pineapple, curried beans, and pasta salad. Over time, a lot of these dishes have developed several adaptations so we can continue to enjoy the good old favorites with a fresh twist. People are becoming a lot more health-conscious and age-old spices and vegetables are suddenly becoming a trend. Being healthy is now fashionable. Kale and moringa coated in unicorn truffles, with G’Quan Eth seeds and Papadalupapadipu – it’s all the rage these days. We’ll keep our salads and sides braai ideas simple but it is useful to stock up on nuts and seeds, such as pumpkin, sunflower, sesame, or pine nuts (but they’re a tad expensive). A sprinkle over your veg and salads adds a decorative and healthy touch. The most basic version is the easiest, without compromising on taste. Half a shredded cabbage, one grated carrot, and onion. The secret is in the sauce. In a cup of mayo, add a tablespoon sugar and vinegar, half a teaspoon cayenne pepper, and crack the pepper and salt. This dressing can also be used for the potato salad and the broccoli salad mentioned further down in this article. There are a lot of salads and sides braai ideas that use carrots. The old favorite, Carrot and Pineapple, is a super quick treat to serve up. Grate a whole bunch of carrots and toss together with pineapple pieces and lemon juice. Other versions include sour cream, mayo, salt and sugar dressing, or raisins. You couldn’t get more South African with a Curried Bean Salad at your braai. A very traditional braai idea with a sweet and sour curry flavor that goes really well with braai meat. There are many variations of the curry beans and a million other bean salads you could try. Pasta is full of carbs and calories so eat as much as you want. Just run it off later. It’s another food that lets you get creative. If you Google pasta salads, you could have a new dish every day for the rest of your life. Using rice as an alternative is another way to transform salads and sides braai ideas into a variety of dishes. There’s a lot you can do with potatoes as a braai idea. Potato salad, baked potato, potato bake, potato chips, and in some cases, you can keep the skin on to pack a nutritional punch. Sweet potato is another option you can include to mix it up. Mielies, beetroot, cauliflower, and butternut are popular as salads and sides braai ideas. Grill, bake, or roast, add a dressing and you’ll have an assortment of healthy, scrumptious sides. One salad that is turning up more often at a braai is the broccoli salad. Small florets tossed with mini size cheddar bites, crushed nuts, deseeded grapes (or cranberries or dates), with the cayenne pepper dressing mentioned under Coleslaw. Fruits are also a sophisticated addition to salads. You can combine a mix of peppers, celery, watermelon, avo, apples, grapes, berries, and paw-paws – to name a few. Adding bacon, ham, or spicy sausage to a veg dish, biltong salads, there’s no limit for an indulgent, meat-filled side dish. If you’re having loads of steak and boerie in starters or main, limit the meat in the side dishes to avoid overloading everyone’s arteries. No braai is complete without the rolls, baguette, or fresh potbrood. A quick braai idea for a cheat bread is to roll out dough and top like a pizza. Roll like a Swiss roll and bake in a potjie for an hour.